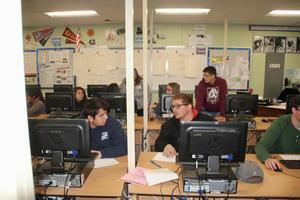 Mrs. Lazenby's Stock Market Game teaches high school economics students how to make and grow investments. If this $8,000 were real, Lucerne Valley High School students Bekah Hart and Kennedy Silva would have a nice chunk for college or a down payment on a car. But for these top performers and others playing The Stock Market Game, which at LVHS is taught by economics teacher Cindy Lazenby, the hypothetical gains (or losses) are merely academic exercises. The lessons learned teach the in’s and out’s, ups and downs, and risk for real-life success, or failure, when investing in the often volatile stock market. 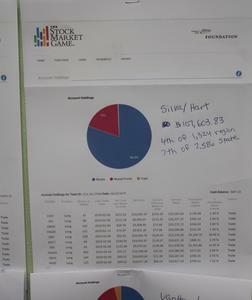 Stock Market Game players start with a hypothetical $100,000 to invest in the global stock market. Over the course of two months, they buy and sell all manner of stocks and bonds, designating each stock either “long” or “short” term. Working with a partner, each team selects 10 stocks, investing $10,000 in each one. Afterward, they move onto mutual funds following the same process, and then onto bonds. Lazenby, who has been with the Lucerne Valley Unified School District for nearly 30 years, has been teaching the stock market for a long time, but this product, which is sponsored by the SIFMA Foundation, is a game changer. At the beginning of each game, Lazenby lays the groundwork and gives her students the tools for stock market success. “I have requirements that they trade at least once a week,” she said. A guest financial advisor comes in every few weeks to discuss stock market investment and business trends. Afterward, the local financial expert holds a question and answer session. Lazenby is impressed with how Silva and Hart have diversified their portfolio. Currently 75% is invested in stocks, 19% in mutual funds and 5% in cash. “They’re balanced very well,” she said. The team has a total of $108,600, which nearly 8% higher than a month ago, she noted. The Silva/Hart team currently is in the top 10 in state and top 5 in the region, ahead of thousands of other high school competitors. Lazenby updates competitors’ results regularly on a classroom bulletin board. After high school graduation this June, both Silva and Hart are planning on attending Victor Valley College and then transferring to a four-year college or university after two years. Silva is planning on pursuing a career in engineering. Hart is looking at psychology as her field of study. Not only is the Stock Market Game fun and rewarding, but studies have shown students who participate often score higher on mathematics and financial literacy tests than others. While Silva and Hart aren’t currently planning on careers in finance, the process and information involved in participating in the Stock Market Game is a safe bet to increase their odds of success. 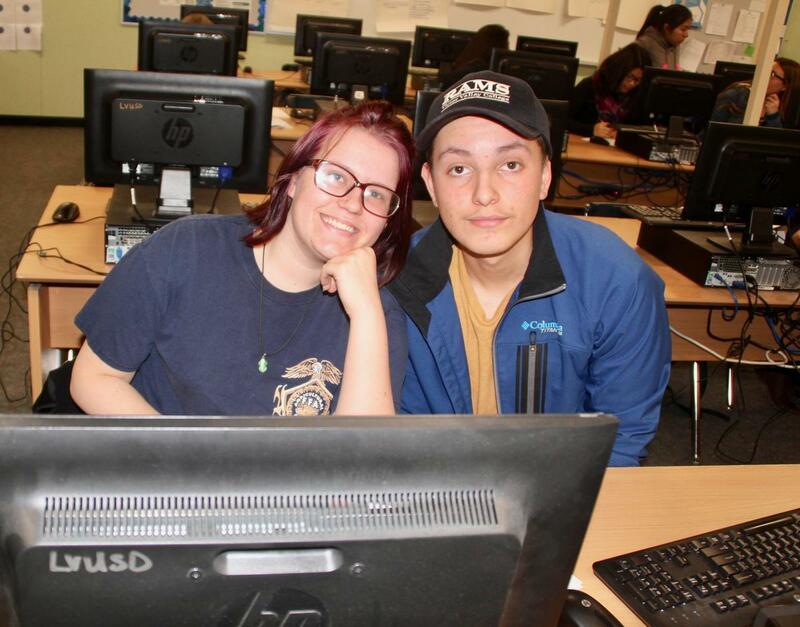 PHOTO 1: Bekah Hart and Kennedy Silva in Cindy Lazenby’s economics class at Lucerne Valley High School are among the top “investors” in California’s The Stock Market Game. Starting with $100,000 dollars (hypothetically), the two have increased that initial investment to more than $108,000 in just a few months. The Silva/Hart team is currently in the top 10 in state and top 5 in the region. PHOTO 2: Teacher Cindy Lazenby teaches the fine details of the stock market in her economics classes at Lucerne Valley Middle High School. 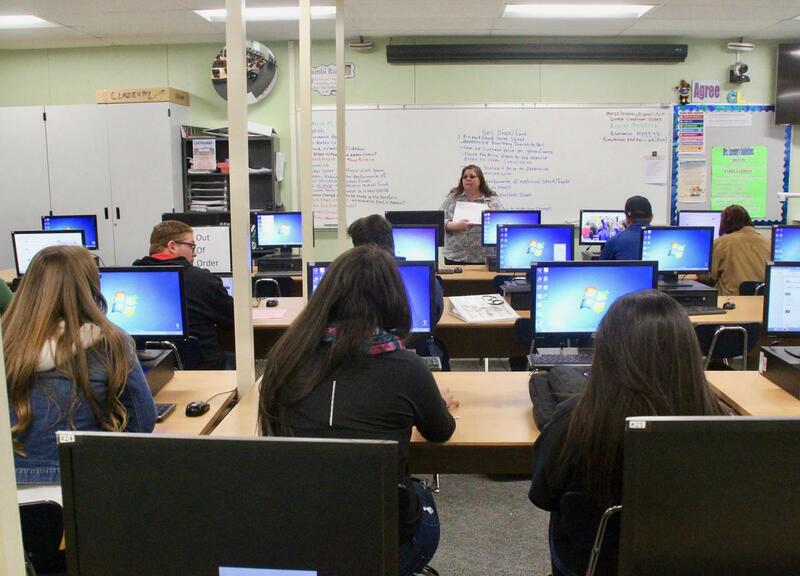 Longtime Lucerne Valley teacher Cindy Lazenby’s economics class not only teaches students about the stock market, but students learn how to handle everyday financial matters. 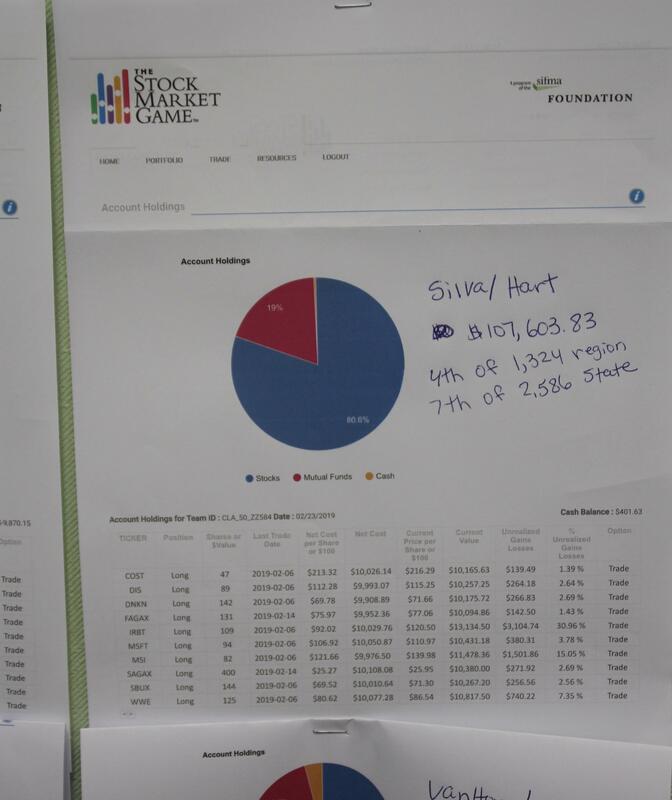 PHOTO 3: The graph tells the story: LVHS students Kennedy Silva and Bekah Hart among the tops in the state’s The Stock Market Game. Their “investment” of $100,000 has gone even higher than this posted amount. 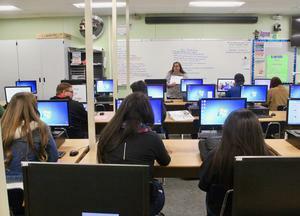 PHOTO 4: A Lucerne Valley economics class discusses their investment strategies. 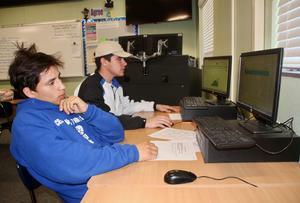 PHOTO 5: Stock market “investors” Jesse Perez, left, and Frank Fuerte, right, work on their portfolios.